We specialize in the designs of window coverings. We use only well-trained professional installers. We offer competitive pricing and unbeatable customer service with a wide variety of products. 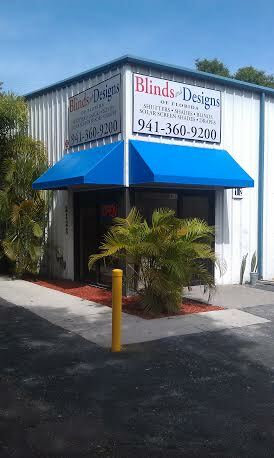 Brian and Heidi are the proud owners of Blinds and Designs of Florida. Heidi is the strong support partner behind Brian, but does not work in the industry. Brian is experienced in all window covering products and is knowledgeable in service and installation of all products. After owning a blind business for 10 years and living in Port Charlotte Florida for over 12 years, they moved to Sarasota. They love the Sarasota area and are strong believers in supporting other local businesses. They are supporters of the local community and enjoy a wide range of events that take place in Sarasota. Our staff has extensive experience in the sale of all window coverings. Our installers works directly for us and are Certified Installers by Hunter Douglas.